Ever since I can remember I always made my mom homemade gifts for Mother's Day. I remember having my glitter, glue, crayons and construction paper out to make my mom the best card I could. My mom always made such a big deal about my gifts because she would proudly display them and show them to everyone. Now that I am an adult I like to always include something handmade with my gifts to her. Things are a lot easier when you have kids because all you have to do is stick a picture of a grandkid anywhere and that would be the best gift a grandmother can get. I have made her tons of personalized photo gifts like mugs, photo collages and even a blanket but wanted to do something different this year. I wanted to create a photo of my daughter that looked like she was giving my mom a flower. 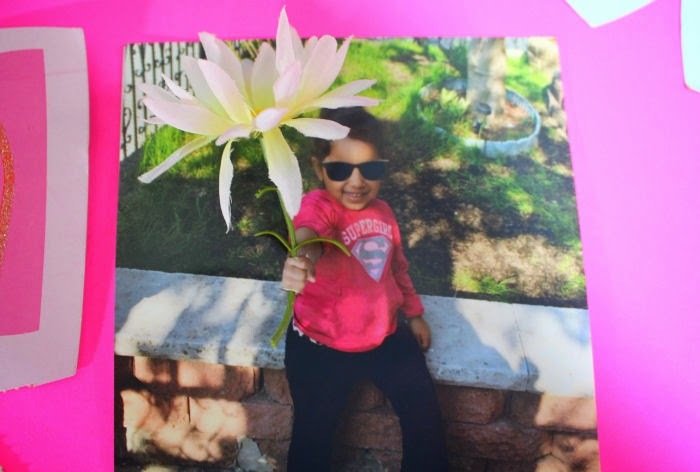 Then I made it 3D by printing out the photo and cutting little slits to put a real flower through. To do this I went outside handing my daughter a roll of contact paper. (I wanted it to look like she was holding the stem of a flower). I took tons of shots to have a lot to choose from for the perfect shot. First I took a picture of my daughter holding her hand out like she was holding a flower. I made sure to take a ton of shots to have a lot to choose from for the perfect shot. Printing out the picture was super easy with my HP Envy 5660 because all I have to do is pop in my SD card and use the touch screen to pick my picture. Then I load up the HP 5" x 7" Photo card into the printer and print away. The quality is so amazing that it looks like I got the picture developed at a photo lab. I followed the same steps to print out the Frame Printable. Then I took the photo of my daughter and used an exacto knife to cut slits at the top and bottom of her fist. I took a silk flower and cut it from the bunch then I threaded it through the slits on the fist. I cut about 3/4" from the top of the picture. Then I used photo squares on each corner of the back of the photo and taped it onto the frame printable. If you need some Mother's Day or any day crafting and printable ideas be sure to visit MyPrintly. There you can find tons of ideas with some amazing free printables. 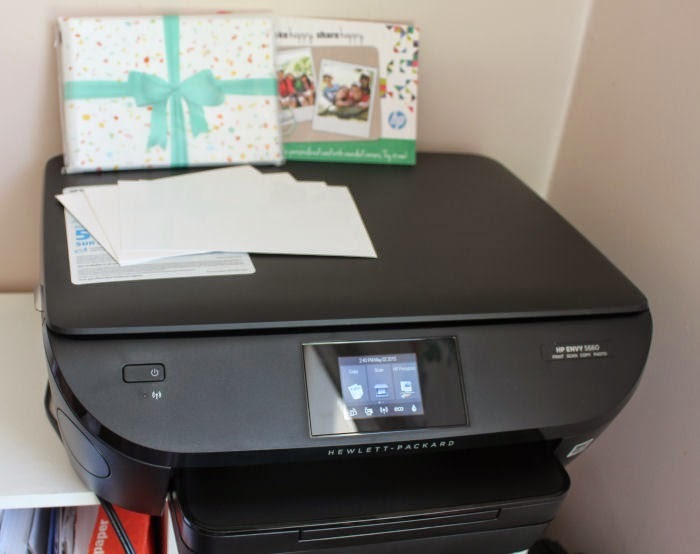 For you chance to win one of three (3) HP Envy Printers follow @MyPrintly on Twitter, Facebook, Pinterest, or Instagram, and then click to complete this brief entry form. The contest will end on Friday, May 15th and winners will be randomly selected and notified the following week. Only residents of the U.S.A. are eligible to enter. I have that printer and absolutely love it. I think this is an awesome idea to do with it. I'm positive your Mom will love that present--what grandmother wouldn't!! That is so super smart and creative. I think I'll try something like this as well. 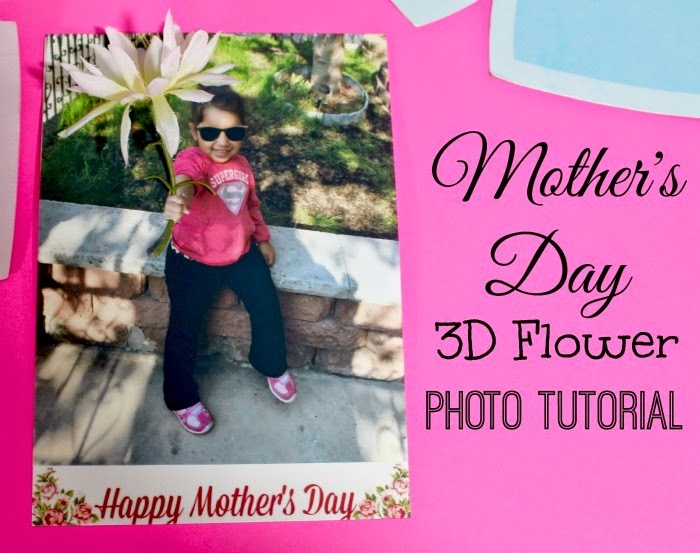 Very neat trick to spruce up Mother's day cards! What a cute idea for Mother's Day! Personalization makes all the difference. I just got a bouquet of flowers. I think I need to try this. It looks so cute!! This is too cute. i know my mom would love it.